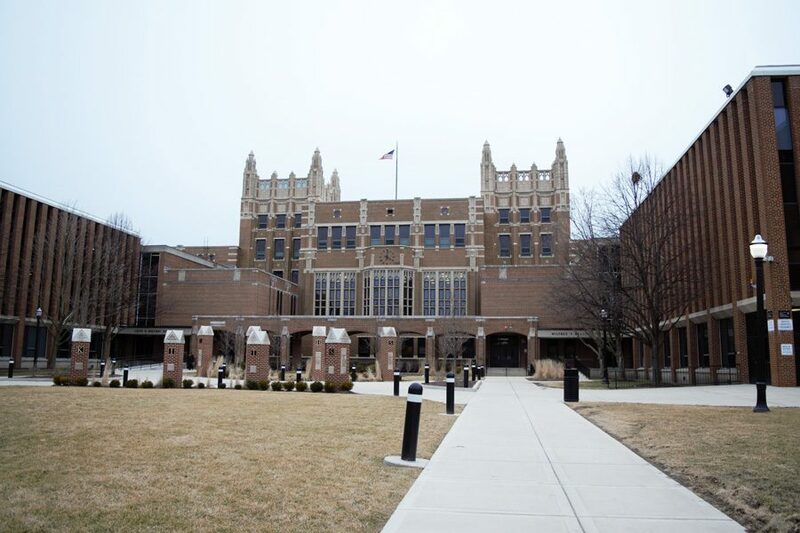 Evanston Township High School will host Northwestern's women's basketball and volleyball teams next season. Welsh-Ryan Arena is undergoing a $110 million renovation, which is expected to be completed by fall of 2018. Northwestern’s women’s basketball and volleyball teams will play their 2017-18 season in Evanston Township High School’s Beardsley Gym while Welsh-Ryan Arena is renovated, the athletic department announced in a news release Wednesday. The gymnasium seats up to 2,400 people. The athletic department previously announced that the men’s basketball team will play its 2017-18 campaign at Allstate Arena in Rosemont, the current home of DePaul basketball. NU will begin its $110 million renovation of Welsh-Ryan Arena when the 2016-17 basketball season ends, and the project is expected to be completed in fall of 2018, according to the news release. Once renovated, the arena will house both basketball teams, the volleyball team and the wrestling team. Correction: The photo caption on a previous version of this story indicated the Northwestern wrestling team will compete at Evanston Township High School. This is not the case. The Daily regrets the error.